Tasmania's tourism boom has caused a surge of hotel developments to meet the demand from the ever-increasing number of domestic and international visitors. More than $850 million worth of hotel developments are in the pipeline as as developers look to exploit the city's growing tourism boom. Tasmania saw a nine per cent increase in visitors over the year ending June 2017, with 1.27 million visitors passing through up from 1.17 the previous year. Total nights spent by visitors increased six per cent to 10.83 million, while visitor expenditure has seen a substantial increase by ten per cent to $2.26 billion. The number of domestic visitors to Tasmania has increased by six per cent up to 1.06 million from the previous years numbers of 997,800. And Tasmania tourism continues to go from strength to strength, with Hobart overtaking Perth to assume third place in the occupancy rankings. Tasmania’s tourism boom has triggered an unprecedented surge in activity from international developers who are now moving there capital from the mainland in favour of Hobart. The growth has been two-fold; with a sudden increase in hotels planned for the city's millions of domestic and international visitors, as well as developers' bullish appetite for residential sites. According to chief executive of Knight Frank Tasmania, Scott Newton, the current demand for Hobart development sites was unprecedented. "Hobart has generally lagged the national market but we're certainly seeing change unfold and there's been a catch-up take place," he said. Hotel construction in the state capital has been booming to accommodate to the growing number of tourists. This year has already seen 410 rooms added to Hobart’s hotel portfolio with the completion of Ibis Styles Hobart adding 296 rooms and MACq 01 adding 114 rooms. Another 614 rooms are currently being added with the Hyatt Centric Hotel (221 rooms), Crowne Plaza (265 rooms) and the Marriott Hotel (128 rooms) all at various stages of construction with a total value of $135 million. 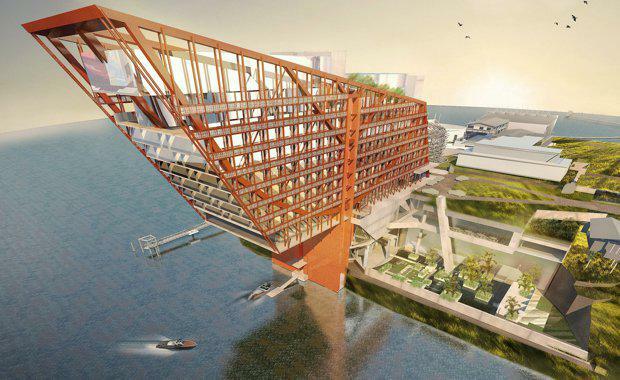 Still awaiting council approval are a further six hotel developments with 1,411 rooms worth $650 million, with the significant inclusion of Homo development at Mona announced in July. The $300 million 5-star hotel will include 172-rooms with other key features including a 1,075-seat indoor theatre for a range of performances along with a 1,000-capacity functions centre. The build of HOMO was expected to take approximately three years from commencement and will create 300 new full-time construction jobs. 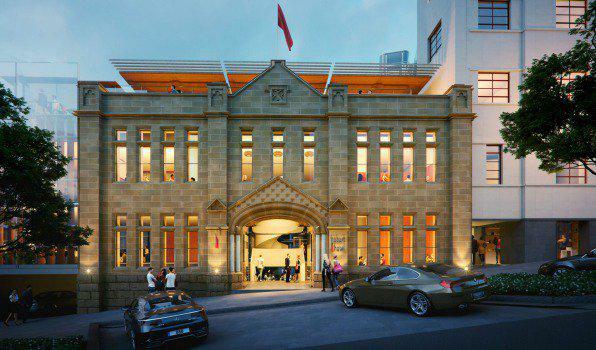 Plans were also revealed for a $60 million expansion on the site of Battery Point’s heritage-listed hotel Lenna, which has been lodged with the Hobart City Council. 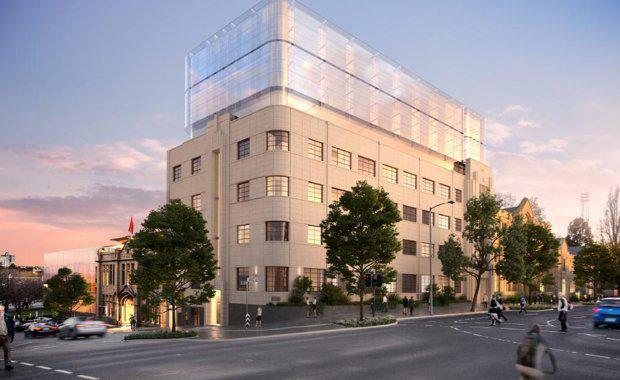 The expansion lists a new 85-room, six-star boutique hotel on the existing car park site, which is set to feature three street-level retail tenancies and a publicly accessible podium-level social space that opens on to Princes Park. Other large developments in the works include the expansion of the hospital redevelopment in the CBD, relocation of the University of Tasmania and an expansion of the Hobart airport to facilitate direct international flights. Economist and vice-chancellor's fellow at the University of Tasmania, Saul Eslake, said Tasmania's economy would undoubtedly benefit from the jobs created by an oncoming construction boom. "History tells us that with Hobart's economy there has been big periods of optimism before that haven't lasted, but this time around, in the absence of an increase to the exchange rate, things look to be promising. "There hasn't been significant hotel development in Hobart for the last 15 years and now with an increase of tourists and a low exchange rate there is clearly demand. Tasmania is attracting a certain type of tourist that prefers a more upmarket hotel and visits to wineries and arts festivals. "Devine also said that after years of undersupply followed by a surge in house prices the conditions have been ripe for a boom in apartment development. "There's not enough stock about so the timing is pretty good to be doing those sorts of projects," he said. "Hobart is seen as still an emerging market where perhaps there's better viability for projects. "In the past 12 months Hobart house prices grew faster than every other capital city in Australia - up 15.2 per cent to a median of $405,000, according to Domain Group data. Apartment price growth has been significant - increasing 7.7 per cent over the 12 months to June, to a median of $310,854.